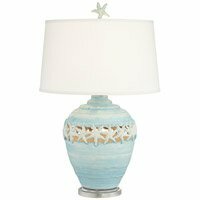 Starfish is inlaid with abalone and spiral shells with a resin overlay. 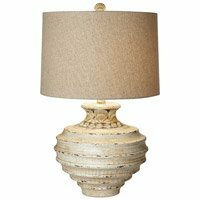 Pendant measures approximately 2 1/4″ in diameter, has a slight curvature to front and a flat back. 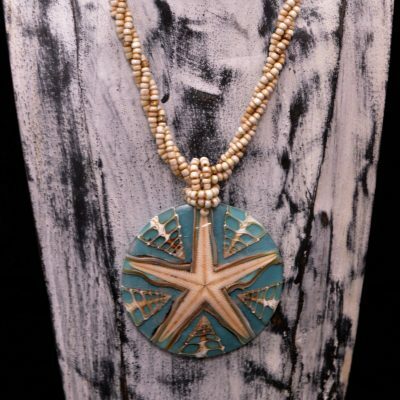 Pendant elegantly hangs from 10 cream colored strands adorned with beaded shells. Necklace measures 18″ long without pendant, 20 1/4″ long with pendant. 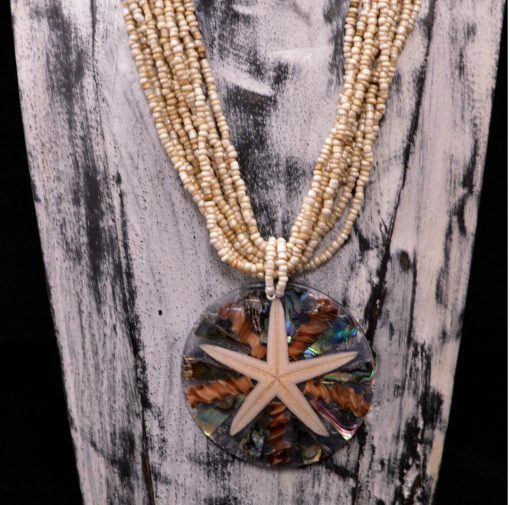 This necklace is perfectly paired with our inland starfish earrings.